This class has nearly filled. Please call the store 651-698-6431 to register at this time. Thank You! 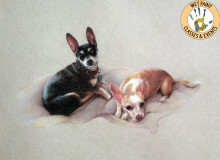 Learn the basics of representing fur effects in pastel pencil and create a “head and shoulders” portrait of your pet from one of your own photos. The workshop will feature a demonstration in the morning session with hands-on student work in the afternoon. You will learn how to draw an initial sketch and transfer it to pastel paper, and how to build fur in a step-by-step process. Attention will be paid to drawing accuracy and rendering the effects of light on your furry friend. We will be in touch via email with a materials list and additional class details in the days leading up to the class. Whether painting a commissioned portrait, a figurative piece, or a “portrait” of a single rose, Suzann has the unique ability to capture the essence and spirit of a subject and combine it with masterful likeness. Her inspiration and passion comes from the classical old masters, and she is particularly influenced by the Russian painters of the 19th century. Intrigued and motivated by the depth and craft of masterworks hundreds of years old, Suzann works to understand classical methods and disciplines and leverage them with contemporary practices and sensibilities to create representational realism. Suzann Beck holds a Bachelors of Fine Arts degree from Moorhead State University, Moorhead MN, and studied portraiture with atelier-trained painter Judith Anthony, Plymouth, MN, and classical glazing technique portraiture with Jeffery Hurinenko, St. Paul, MN. 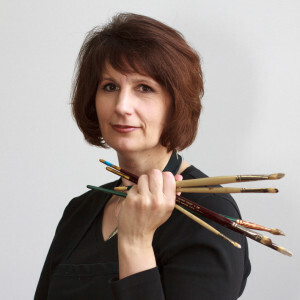 Suzann serves as the Minnesota Ambassador for the Portrait Society of America, and teaches portrait painting and drawing classes in her Northeast Minneapolis studio and the Paramount Center for the Visual Arts, St. Cloud, MN.